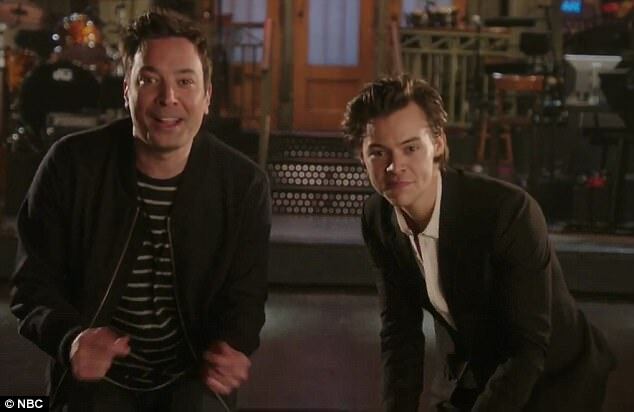 Harry Styles made his first solo performance on Saturday Night Live, post One Direction last night and it was one of greatness. Not only did he perform not one song, but two, he also showed off his acting chops, joining in a few of the comedic skits. Watch the below sketch where he gave a spot-on impersonation of legendary Rolling Stones singer Mick Jagger. He went on to fulfill his musical guest duties and impressively performed his brand new single ‘Sign of the Times’ for the very first time. Followed by another performance (how did we get so lucky!) of an album track ‘Ever Since New York’ where we get to see him strut his stuff with a guitar. Harry Styles new album is due for release 12. May. 2017 and is available for pre-order on iTunes now.